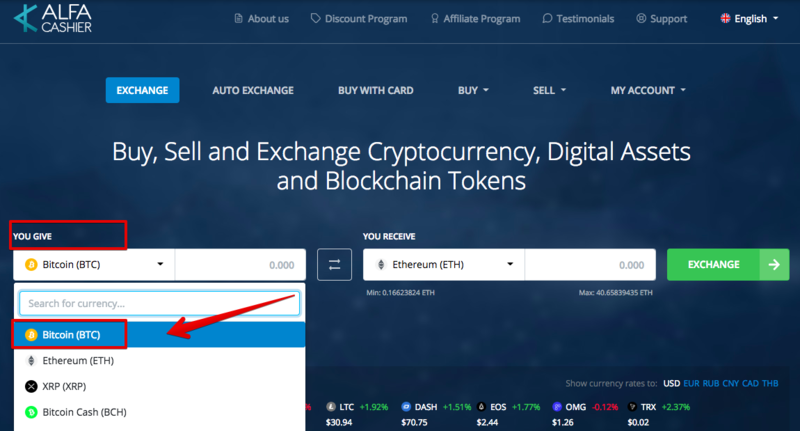 This manual guide will help you to sell Bitcoin, sell Ethereum, sell Litecoin, sell XRP, sell Bitcoin Cash, sell NEM, sell Zcash, sell Monero, sell Ethereum Classic, sell Dash or sell any other cryptocurrency which is supported on ALFAcashier. 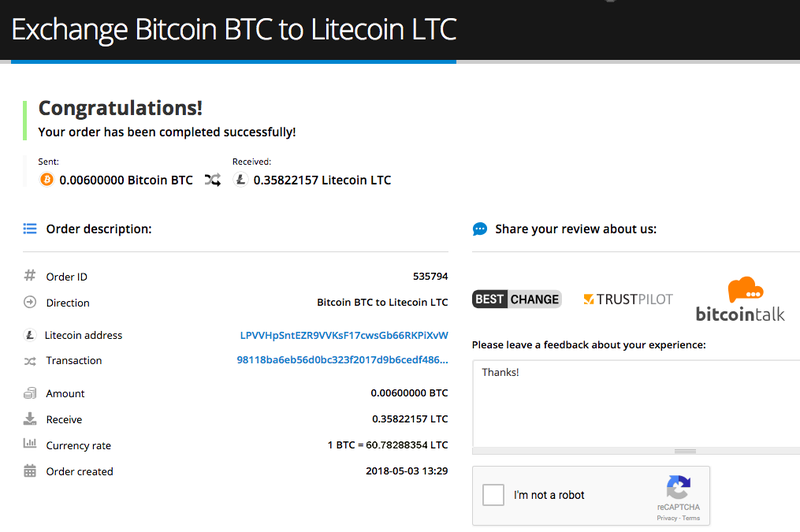 In this manual as an example we’ll show you how to sell your Bitcoin (BTC) for Litecoin (LTC). You can use one of the guide methods (Method 1 or Method 2) and then follow the selected guide method steps. 3. 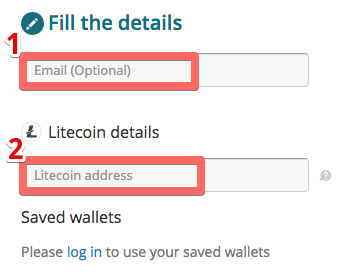 Now you need to enter the required amount of destination currency (2) (in our example: Litecoin) or source amount (1) (in our example: Bitcoin) you’d like to exchange. If you change destination amount the source amount will be automatically re-calculated and vice versa. 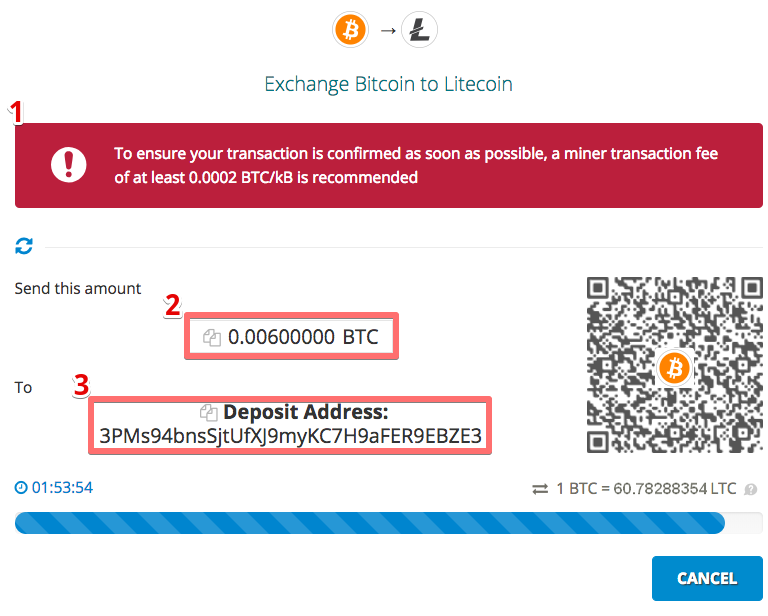 In our example the cryptocurrency address - is the Litecoin address. Please note: the warning in (1) - is just an optional recommendation to set proper miner’s fee for Bitcoin before sending your transaction out, so your transaction gets confirmed quickly and you won’t have to wait a long time before the transaction is confirmed on the blockchain (read more about how to set bitcoin's miner fee in different clients here). 1. At the main page, choose SELL menu in the upper menu and click the cryptocurrency you want to sell (in our case, Bitcoin). 2. Select your preferred currency (1): USD, EUR, CNY, RUB, Crypto (in our case - Cryptocurrency), select the payout method (2): one of supported cryptocurrencies (in our case - Litecoin). 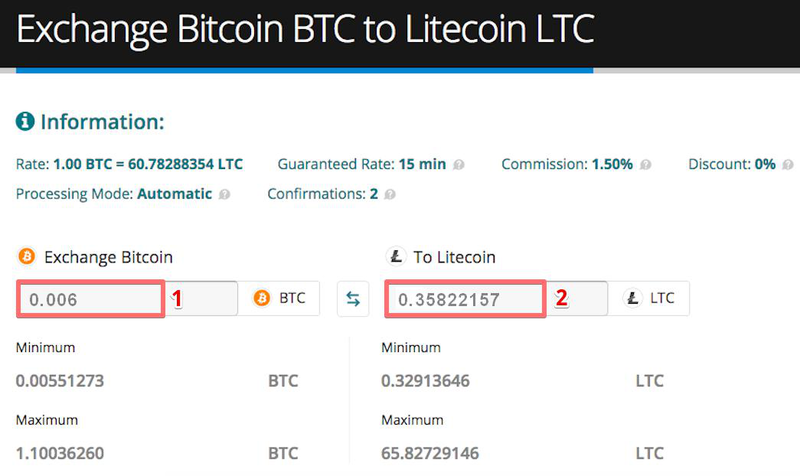 Enter either source amount (3) (in our example: Bitcoin) or destination amount (4) (in our example: Litecoin).